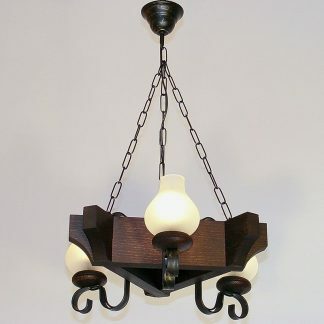 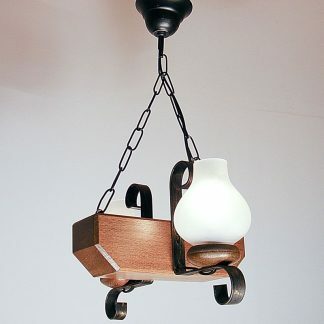 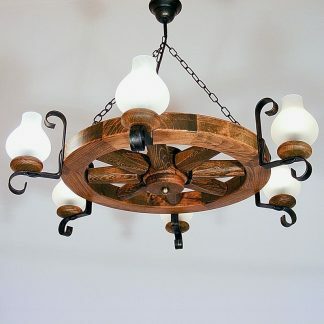 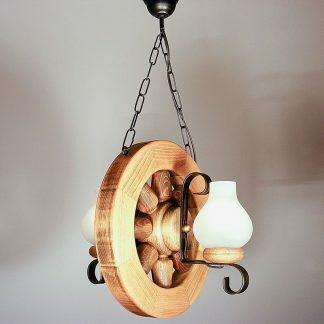 WHEEL rustic chandelier in horizontal position, made of solid wood available in different finishes (natural wood, brown, antique wood) with six wrought iron arms. 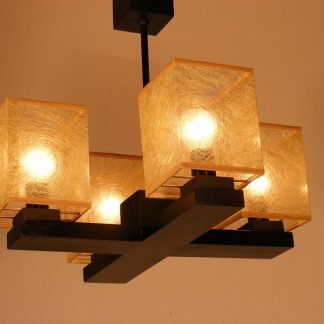 White or clear glass shades available. 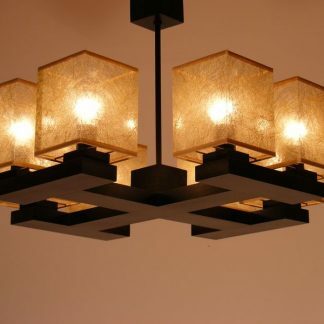 6 X max 40W, E14 socket incandescent light bulbs.